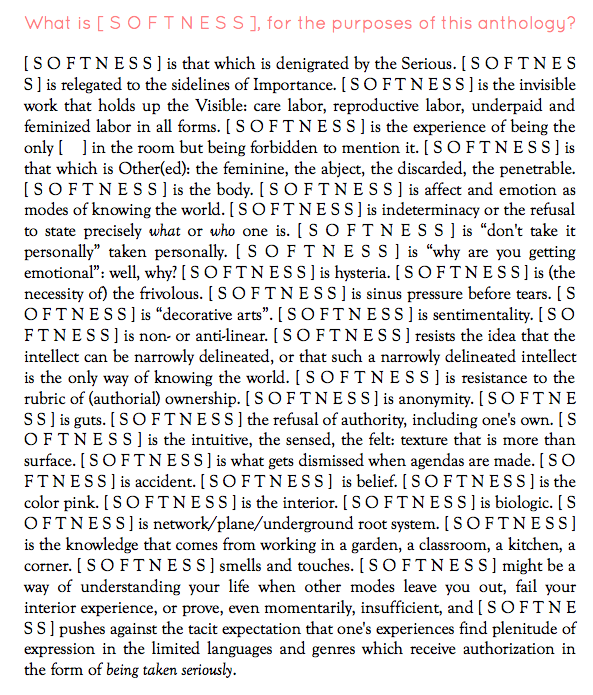 —Margaret Chapman​ and I are editing an anthology that will orbit around/ develop the concept of [ S O F T N E S S ] as an aesthetic, ethics, politics, pedagogy, strategy…. We would love to read your work. The place to send it is here. Here is the full call for work. Feel free to circulate it.